Sony has announced a double helping of PVR goodness this week, with the launch of the SVR-HDT1000 and SVR-HDT500 personal video recorders. 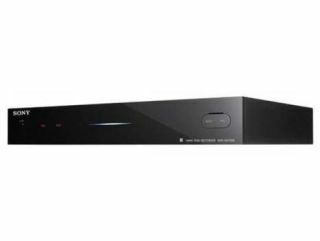 The PVRs have twin Freeview HD tuners built-in so you can record two programmes at once and watch another at either 576p, 720p, 1080i or 1080p picture quality. When it comes to hard-drive size, the clue is in the name. The Sony HDT1000 has a massive 1TB at its disposal, while the HDT500 is a still-impressive 500GB. There are also two USB 2.0 ports so you can use one to view photos, watch movies and listen to music – as long as it's in the JPEG, MPEG or JPEG format – and the other to expand the capacity of the PVRs with an external hard drive. There's no UK release date for the HDT1000 and HDT500 PVRs as of yet (Play says they will be out in May) but price-wise you are looking at £330 for the HDT500 and £400 for the HDT1000.